With more than 15 years of experience as a financial advisor, Mr. DiChiazza works with a wide range of individual and corporate clients. 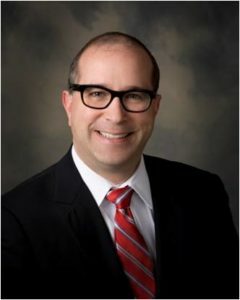 He began his career in 2003, and has worked with MetLife Securities, First National Investment Services and BPU Investment Management, Inc.
Mike focuses on investment, retirement, and insurance planning to help individuals, small businesses and non-profit organizations grow, preserve and transfer wealth. As a member of Medallion’s Corporate Retirement Plan Division, he serves as one of the firm’s education specialists. Mike’s role includes presenting corporate education programs and guiding individual plan participants with their asset allocation decisions. He also serves on the executive committee of Medallion Wealth Management, Inc.
Mike is currently the President and a member of the Board of Directors of HEARTH, a Pittsburgh non-profit organization that provides transitional housing to homeless women with children who have experienced domestic violence, as they work to become economically self-sufficient. Mike lives in Cranberry Township with his wife, Genie, and son, Samuel.